Hanoi (VNA) - Increasing exports helped Bac Giang, the country’s lychee farming hub, obtain its most successful lychee crop in 2017, with the highest prices in six decades, heard a conference on August 2 in the northern province. According to the Bac Giang provincial People’s Committee, lychee production brought a revenue of 5.3 trillion VND (233 million USD) to local farmers. Lychee prices averaged 40,000-60,000 VND per kilogram this harvest season and even touched a record high of 83,000 VND per kilogram, nearly doubling the previous crop. The province’s lychee export revenue totalled more than 90 million USD this year. The province said that lychee entered a number of new markets this year, such as Dubai, Holland and Thailand, thanks to the enhanced promotion activities. China remained the largest importer of Vietnamese lychee, with 28,000 tonnes, or 76.5 percent of the total lychee export volume. Domestic lychee sales reached 54,900 tonnes. The province saw the best lychee crop during the past 60 years despite a drop of 64.2 percent in output over the previous year to 91,000 tonnes due to unfavourable weather conditions. However, this year’s lychee was of higher quality, Duong Van Thai, Vice Chairman of the provincial People’s Committee, said. The province’s statistics show that more than 1,000 farmer households earned from 100 million VND from lychee this harvest season, including 10 households with revenues of higher than 500 million VND and two earning more than 800 million VND. According to Tran Quang Tuan, Director of the provincial Department of Industry and Trade, promotion activities contributed significantly to the success of lychee sales this year, together with efforts to improve lychee quality. 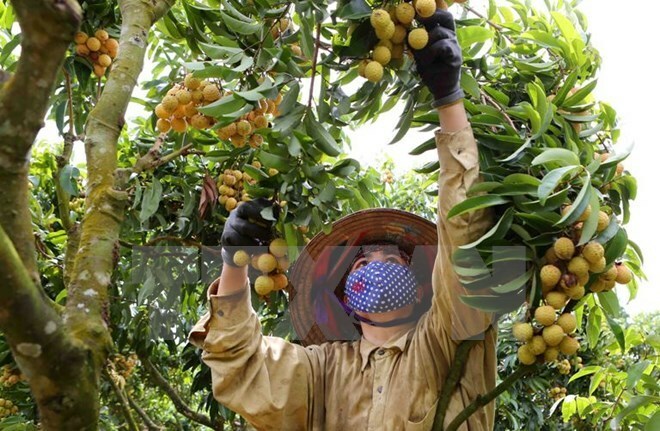 Lychee plantation area totalled 30,000 hectares in the province. Bac Giang province is famous for thieu lychee, which grows mainly in Luc Ngan district.